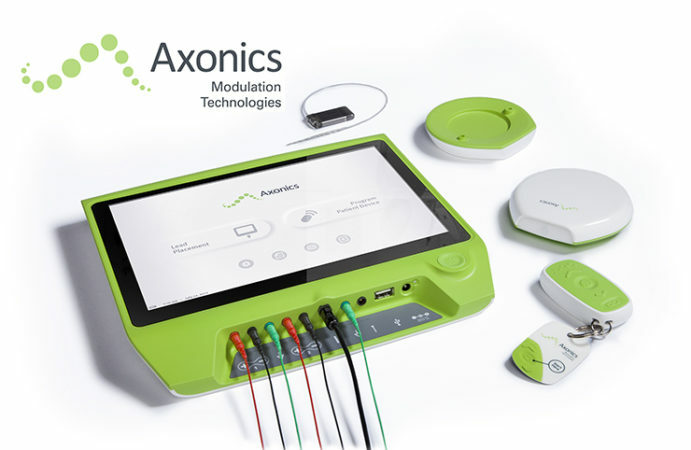 We’re excited to announce that our partner, Axonics Modulation Technologies, developer of the world’s first rechargeable implantable sacral neuromodulation system (r-SNM™), has received Investigational Device Exemption (IDE) clearance from U.S. FDA. With IDE clearance, Axonics is allowed to conduct a pivotal study to pave the way for FDA approval in the United States. According to Axonics, approximately 120 patients will take part in the study in 15 medical centers across the U.S. and Western Europe. The study (ARTISAN-SNM) is a single-arm, prospective pivotal study designed to demonstrate the safety and effectiveness of the Axonics r-SNM system as an aid in the treatment of urinary urgency incontinence in patients who have failed or could not tolerate more conservative treatments. Neurostimulation therapy treats bladder and bowel dysfunction, that affect hundreds of millions of people in the US and Europe alone. Axonics’ r-SNM system is comprised of a miniaturized, rechargeable implant, a digital clinician programmer, and a patient charger and remote. Karten Design worked in close alignment with Axonics to design numerous elements of the cutting-edge system. Our teams employed design strategy, in-depth user research, and evaluative testing to develop an innovative product that significantly enhances the user experience for both clinicians and patients. Check out coverage of our work on the system in Fast Company Co.Design.